IN MY BODY a lifelong dancer, choreographer, and performance experimenter. A close partner with sound, silence, and word. IN MY MIND a writer, a songwriter. All my effort and ear is bent, twanged toward overlapping arcs of listening and creating. The songs: others, mine, mine, others. I’m taught by them. IN MY HANDS instruments, crafts to navigate, maps to decipher, landscapes and laboratories of unending allure and resonance. New loves, old loves. I’ve been dancing to them since day one. Now a brave, bewildered musician. I’m going deeper in. 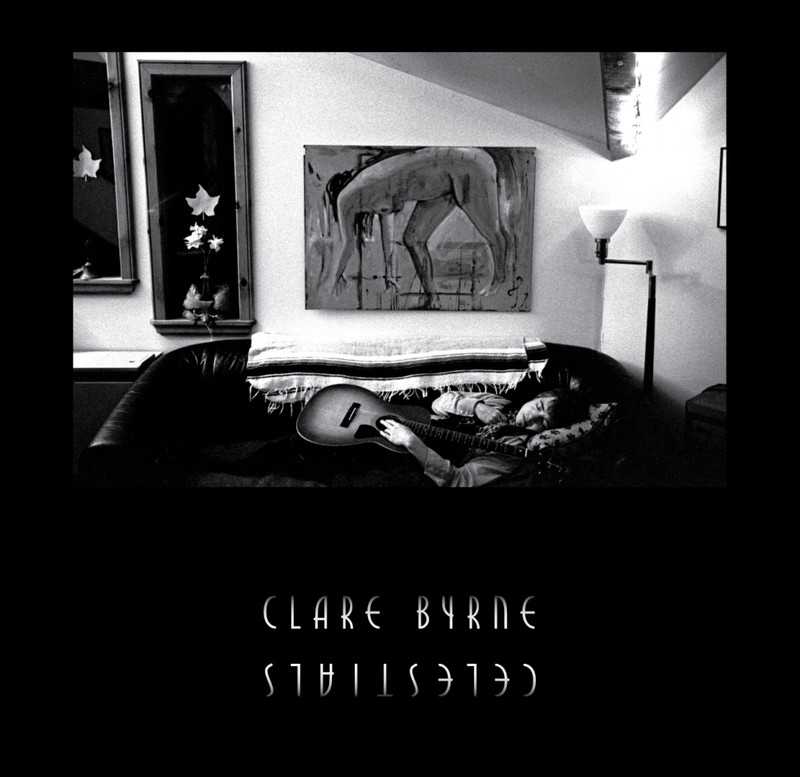 Clare Byrne Music: Celestials Album Release Party #3 – Vinyl! Today Celestials is released online. It’s right here! It is also the birthday of my beloved aunt, Laura Louise Tietjen Wysong, born in 1951, who left us oh! too soon – this past August 13th. Aunt, sister, wife, writer, gift-giver, gardener, spirit-seeker, meditator, bold performer. Her strength and determination. Her earthy humor, her wit. Her rapier-sharp inquisitive mind. Her unfathomable empathy, generosity, compassion, beyond all. She is so missed! But her radiant presence is felt, everywhere. She is here. 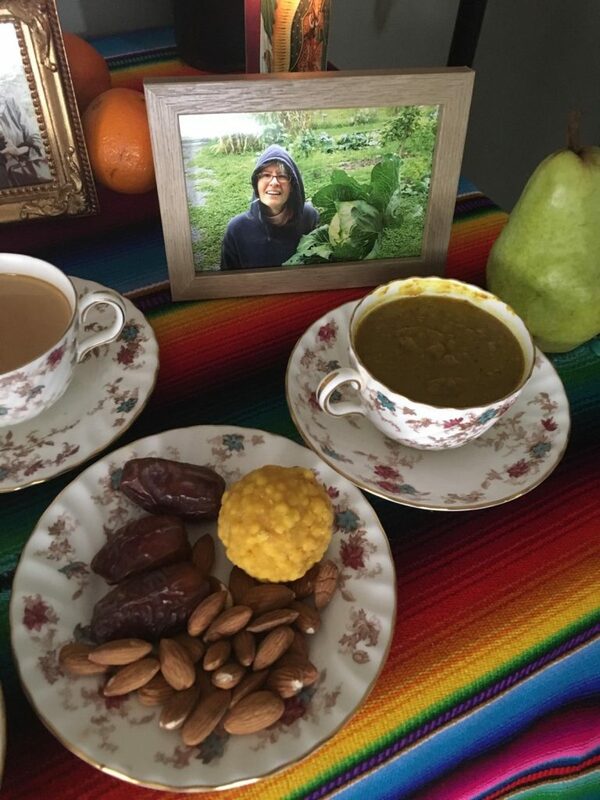 A picture of gardener Laura, from sister Monica’s All Saints ancestor feast table. I hold Laura’s reflection in my mind. …and here: at not one, not two, but three album release events. 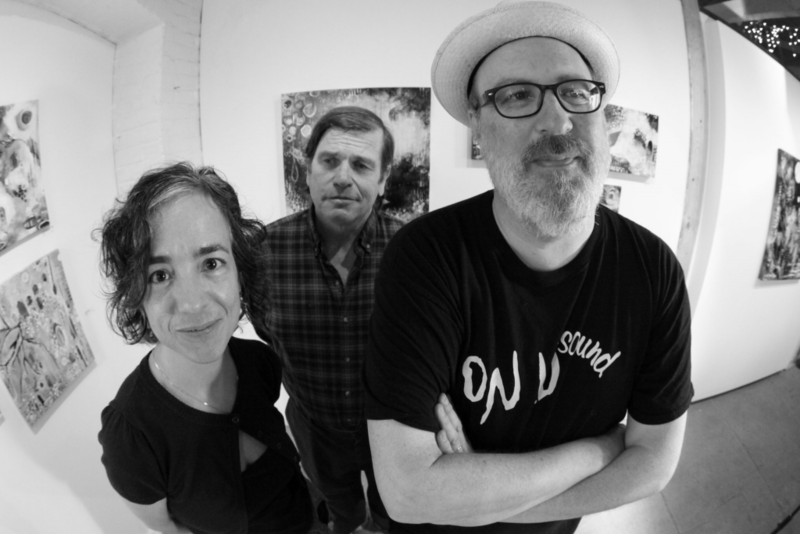 Saturday April 27 7:00pm: Rose Street Artists’ Coop and Gallery, 78 Rose Street, Burlington, Vermont. …the double album is coming out this spring. Mixing and mastering finished with Gus Ziesing at Low Tech Studios. It will be vinyl! Pressing to commence at Burlington Record Plant. Alec Julien is designing the cover with photos by Hiroyuki Ito. Release events in three states! – in April, May, and June. 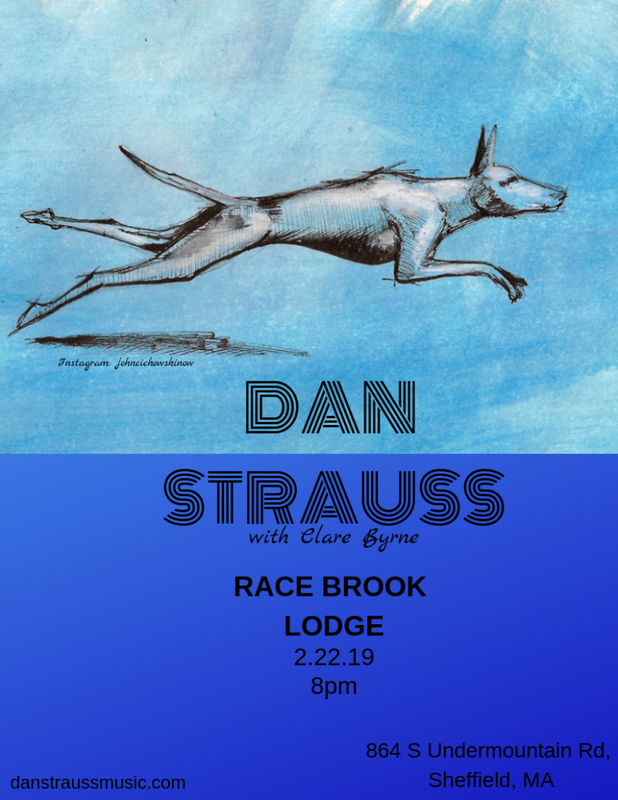 I’ll be playing some songs with lovely friend and New York singer-songwriter Dan Strauss up in the Berkshires Friday February 22nd – so happy for some song-time and some cozy- winter-lodge-time in the woods! Always wonderful to share the stage with Dan.